As the Chinese New Year period draws to a close tomorrow and parents tally their children's hongbao haul, it is a good time to start thinking about how to help them grow those funds. You can start by saving or investing that money, and topping up along the way to get the benefits of long-term saving and investing. We come up with a handy guide on how to grow your children's hongbao money, coupled with important financial lessons that they can grasp with ease. 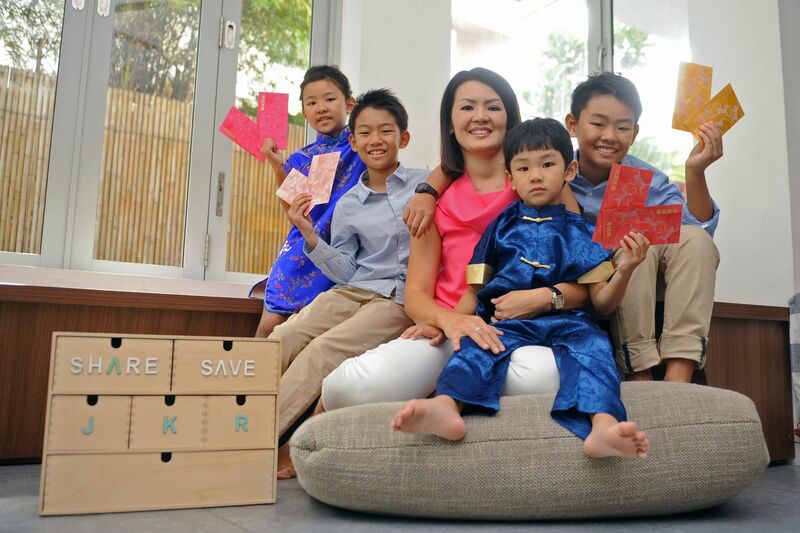 Ms Lui Su Kian, head of deposits and secured lending at DBS Bank, says deposits usually increase during the Chinese New Year season, as parents deposit red packet money for their children. Mr Gregory Choy, OCBC Bank's head of wealth advisory, also suggests taking the children to the bank to set up the account. "It is also the first step to showing your child how saving small amounts gradually can amount to a significant sum of money over the years. "There's also the excitement of earning interest that your child can start looking forward to." Mr Dennis Khoo, United Overseas Bank's head of personal financial services in Singapore, says you could consider opening a joint savings account as well. "When (the child is) a bit older and understands more advanced arithmetic, you can begin teaching the concept of interest and allow him to manage and track his account's progress online. "And as your kids get older, you can also teach them to manage their money by transferring their monthly allowances into their accounts and let them draw down from the accounts during the month." Ms Lui adds that the additional money received during the festive season provides a great opportunity for parents to teach their children about budgeting. She says: "Encourage them to set aside most of the money for long-term savings and for rainy days, and the rest can go into a pool to be used for a special occasion or goal, such as a birthday gift for their best friend or a personal treat." Mr Khoo suggests a 10:90 rule, where 10 per cent of their red packet money is spent on a treat and 90 per cent is saved or invested. He adds that rather than buying toys for the children, parents can encourage them to buy these themselves with their hongbao savings instead. "By doing so, they will feel the satisfaction of buying something themselves and appreciate that the accumulation of savings takes time ," says Mr Khoo. He also suggests splitting the child's red packet takings this way: 40 per cent for spending, 40 per cent for short-term savings to be used on things like a new toy, and 20 per cent for long-term savings for big-ticket items such as a bicycle. Piggy banks can also be labelled to differentiate the savings, adds Mr Khoo. Financial practitioner Ernest Tan, who wrote a book targeting parents, Raising Financially Savvy Kids, says you could adopt a "money-jar system"he came up with. He says: "With normal daily or weekly allowance, we teach kids to allocate 70 per cent to the 'spend' jar, 20 per cent to the 'save' jar and 10 per cent to the 'share' jar." The formula for hongbao money could be different: 70 per cent to the "save" jar, 20 per cent for them to spend, and 10 per cent to teach them to give to someone needy during Chinese New Year. He says if the child has collected a large amount, you can vary these percentages - for example, 80 per cent to save, 10 per cent to spend and 10 per cent to share. "But it is always good to discuss and make agreements, especially when kids become teens who would want to have more say in their hongbao collection," adds Mr Tan. Eternal Financial Advisory chief executive Viviena Chin says that in the early years when the hongbao money is not enough to start a regular savings plan, keeping it in the savings account could be a better bet. Once the amount reaches a comfortable level, Ms Chin suggests helping the child start a regular savings plan with a unit trust fund. You could start with a minimum lump sum of $1,000, followed by monthly regular savings of $100. Ms Chin notes: "This sort of regular savings plan provides dollar-cost averaging with no worries on whether the market is high or low, so the hongbao money can work harder for the child and hedge against inflation. "The risks are lower compared with buying a single stock, and no monitoring is required. You could choose a period of five years or longer." Ms Chin says parents who are not ready to take risks could also start an endowment savings plan with an insurer which offers a good yield, compared with the banks. Mr Khoo notes that a key savings plan for children is the Child Development Account (CDA). He says: "Under the CDA, the Government matches deposits dollar for dollar up to a cap, depending on the birth order of the child. "This is a prudent way to save if you know that you and your child are not anticipating a sudden need for emergency cash, as you can save till your child turns 12 years of age." You can use the CDA funds for education and healthcare expenses at Baby Bonus-approved institutions, which include selected childcare centres, kindergartens, hospitals and clinics. Ms Lui says parents could consider encouraging their children to be part of initiatives that cultivate thriftiness, such as POSB's National School Savings Campaign. "To provide greater incentive for students to save, POSB offers a bonus $1 for every $10 saved by each student per month via this campaign," she adds. Depending on your risk profile, Ms Chin says parents could consider investing their children's hongbao money in regular exchange-traded funds or index funds. "And if you can stomach higher risk, consider buying a blue-chip single stock that comes with dividends," she says. Even children need to learn to live within their means, says Mr Choy. Ask them to take stock of how much they have collected over Chinese New Year, and how much they intend to spend. 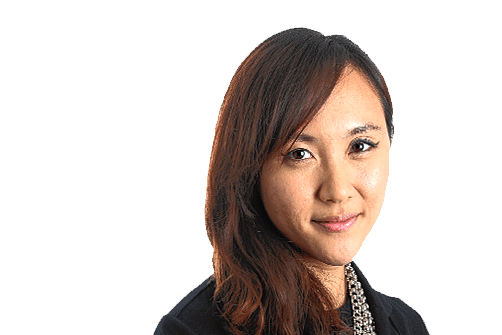 "Get them to make a list and to track it often, ensuring that (their expenditure) does not exceed the amount of hongbao money they've collected," Mr Choy says. "This will instil in them the habit of keeping track of their expenses in future." You could also show your children how you plan to save. Mr Choy says a simple way is to put your piggy bank beside theirs, and show them that you save your loose change daily. "Don't forget that children pick up behaviour patterns from what they (see and) experience around them, so parents need to set a good example for them to follow."